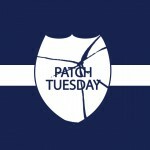 February's Microsoft Patch Tuesday delayed due to "last minute issue"
Update: There will be no Microsoft patches for the month of February. The ones that were scheduled for this month will now be released on March 14 (next regular Patch Tuesday). The self-centered side of me wants to believe someone in the MSRC saw my post, although with the laments about how sick I am with a nasty cold, and took pity on me. Then there’s the pessimistic side that grumbles that now I can’t check it off my lengthy “to do” list and wonders if I’ll be the victim of some unpatched exploit in the interim. The practical side – the one I try to nurture – acknowledges that this was just a stroke of luck for which I should be and am grateful. The inquisitive side just wonders what’s going on. This is the first time, in the many years I’ve been covering Patch Tuesday releases for various publications, that I’ve seen an announcement like this. Oh, the patch release – normally scheduled for 10 a.m. Pacific Time – has been late a few times, sometimes by only a few minutes and occasionally longer – but I haven’t seen an announcement like this that raises more questions than it answers. Does this last-minute issue affect all of the patches that were scheduled for release today? 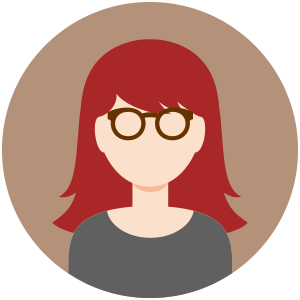 Not infrequently, we’ve seen a number missing in the sequence of patches, indicating that one had been pulled for more work. The recent move toward “roll-up” patches that incorporate all the fixes for a given operating system rather than individual updates that address only a few vulnerabilities means you can’t just pull one flawed patch and release the rest. Given the reference to the “best possible experience for customers,” is it possible that complaints regarding the demise of the old security bulletin format have caused a rethinking of that decision? But surely that wouldn’t be a reason to delay the release of critical patches – bulletins could be added after the fact. Was it discovered that one or more of the patches have some catastrophic side effect, like the “endless reboot loop” that plagued one of the Windows 10 updates not so long ago? Anyone who has been doing this for any period of time knows that when it comes to security fixes, sometimes the cure can be worse than the problem it addresses. It certainly would make sense for Microsoft to want to avoid a fiasco that renders a significant number of systems unusable and customers disgruntled. We can speculate to the extent of our imaginations – and I confess that I have an active one – but the bottom line is that we have very little real information at this point. Perhaps the patches will be released later today. Perhaps not. Stay tuned for more news on this month’s patches when we have it.